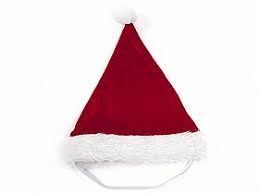 The Christmas Season is here and with it comes Kazoo's Christmas Small and Large Santa Hat. For the Pup that needs to be dressed for every occasion we introduce you to the only hat they will ever need. You will think Santa left behind one of his adorable little helpers.